A triple insulated, wide-mouth bottle that is sophisticated enough for the boardroom and tough enough for a mountain hike. Keeps contents cold for more than 24 hours and hot for 12 hours. 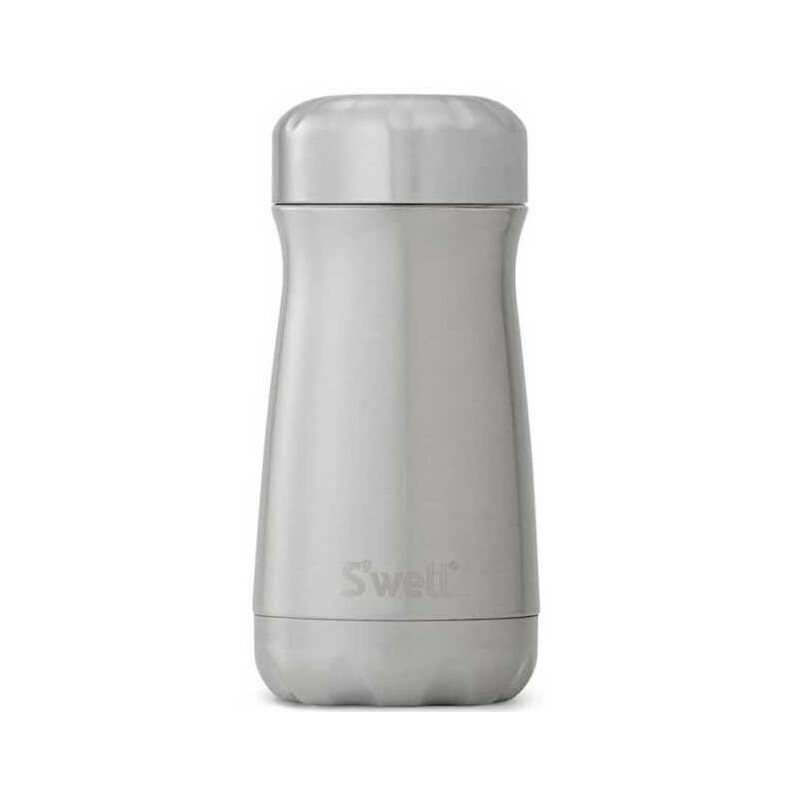 Beautiful design featuring an ergonomic grip space, with a 350ml capacity and a wide mouth that is great for filling up with iced drinks or hot soups! Silver Lining design. A portion of the proceeds from this bottle sold will go back towards WaterAid. Wide-mouth for ice cubes and easy cleaning. 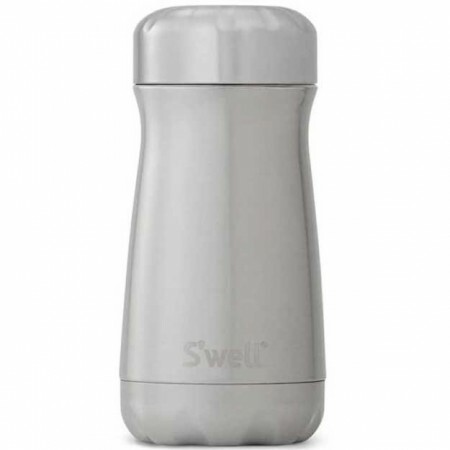 Perfect for soup, hot chocolates, coffee and more. Triple-wall construction and vacuum insulation ensures cooling and prevents condensation. 12oz/350ml capacity. 18/8 grade stainless steel with silicone seals. 17cm H x 7.5cm at widest. Designed in NYC, made responsibly in China.